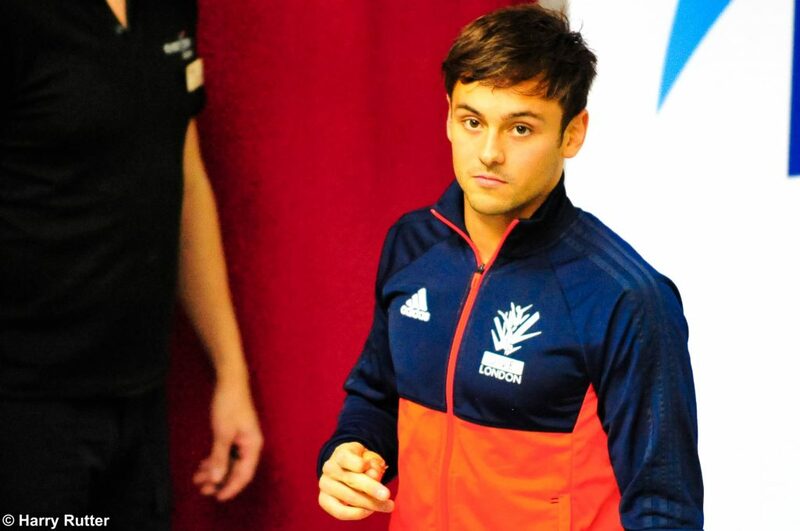 TOM DALEY returned after his time away from diving scooping two Gold medals at the British National Diving Cup in his home town Plymouth. Daley had not competed in his city since 2017 and received a warm welcome from the sell-out crowd, which included TV’s Fred Sirieix, Daley’s husband Lance and their baby boy Robbie. The Olympic champion said: “I love coming back to Plymouth and diving in front of a home-town crowd. After a two year hiatus, the National Diving Cup returned to the Plymouth Life Centre turning out to be an incredible three day event. On the opening day, Friday, February 1, Jack Laugher and Dan Goodfellow took gold on their synchro event debut. On the second day, Daley and his Yorkshire diving partner Matty Lee elegantly impressed the judges during the 10m synchro. After nailing their first two dives, scoring top marks, the duo looked at consummate ease, building throughout the competition to end with a score of 421.41. The highlight came in round five where the pair produced a 79.92 point Back 3-and-a-half Somersault Pike (207B), which had an associated 3.6 degree of difficulty. On day three Tom kept the audience keen, failing to disappoint throughout his individual dives. 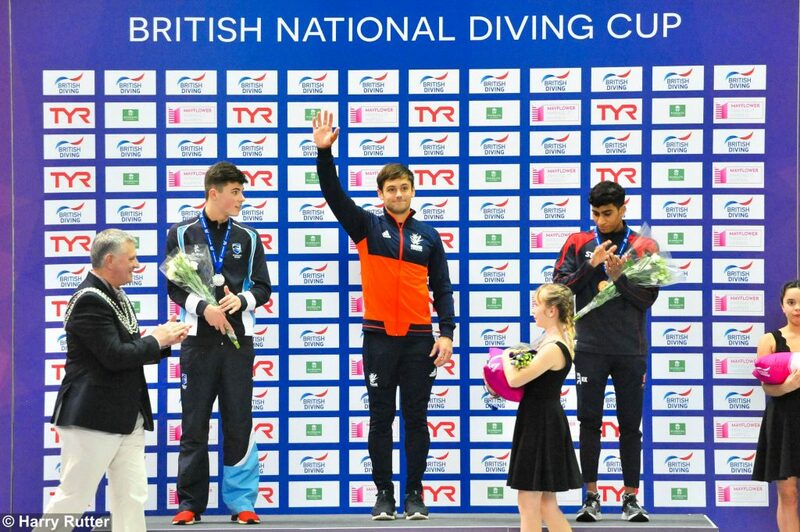 To top it off, he saved his best dive until last producing an astonishing 106.2 Back 3-and-a-half Somersaults to secure the National Cup title with an impressive 510.35 score. He added: “I’m really happy with the way it went today – of course there were things that I could improve on, but overall, and to finish on the dive I did, I’m really happy. Dan Goodfellow also won the 3m individual Gold. Other Gold medallists included Millie Fowler, Grace Reid, Kat Torrance and Gemma McArthur adding to the astounding atmosphere of the British National Diving Cup. To view the entire Men’s 3m gallery, click here.